This law will be implemented in schools in the 2017-2018 school year. As a graduation requirement, students will receive CPR & AED training within a health class one time between 7th and 12th grade. 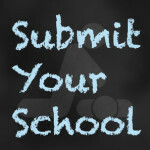 This training will be provided by schools, included in their health programs. 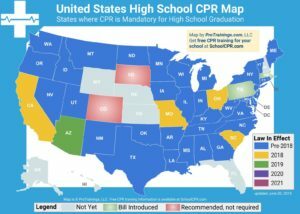 In addition, the school must use an instructional program that is nationally recognized and utilizes evidence-based guidelines for cardiopulmonary resuscitation and cardiocerebral resuscitation. defibrillators to pupils enrolled in high school grades.